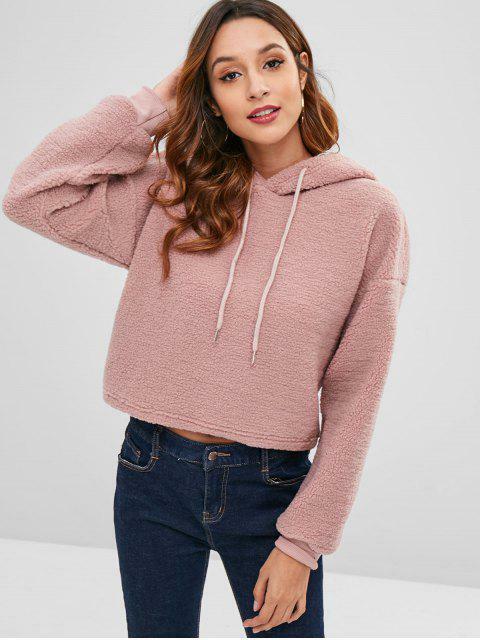 [60% OFF] 2019 ZAFUL Drawstring Cropped Faux Shearling Teddy Hoodie In KHAKI ROSE | ZAFUL .. 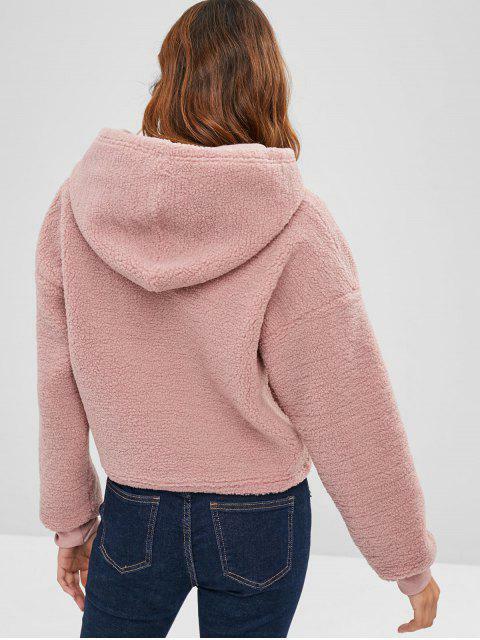 I bought this sweater so I can wear it in the winter and stay warm. I got a lot of compliments saying how its cute and how i look like a teddy bear wearing it. 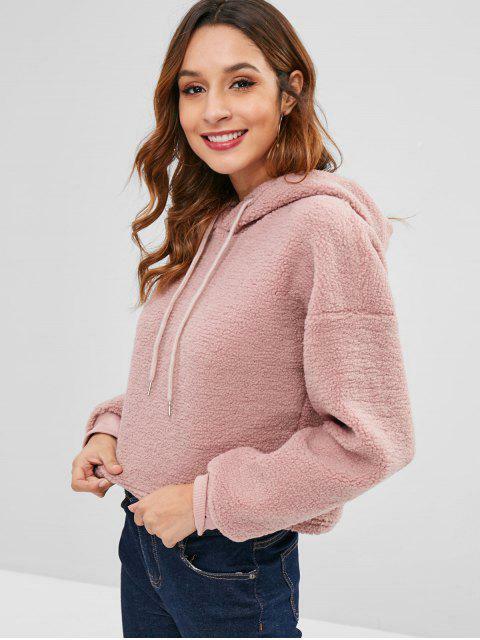 This sweater will keep you warm. Only problem I have is that it makes your hair static-y but that can be solved by throwing your hair into a bun .